Chickpea Tart – Love. Nourish. Heal. Arrive to your next dinner party with one of these and you’re sure to be the most liked one at the party! 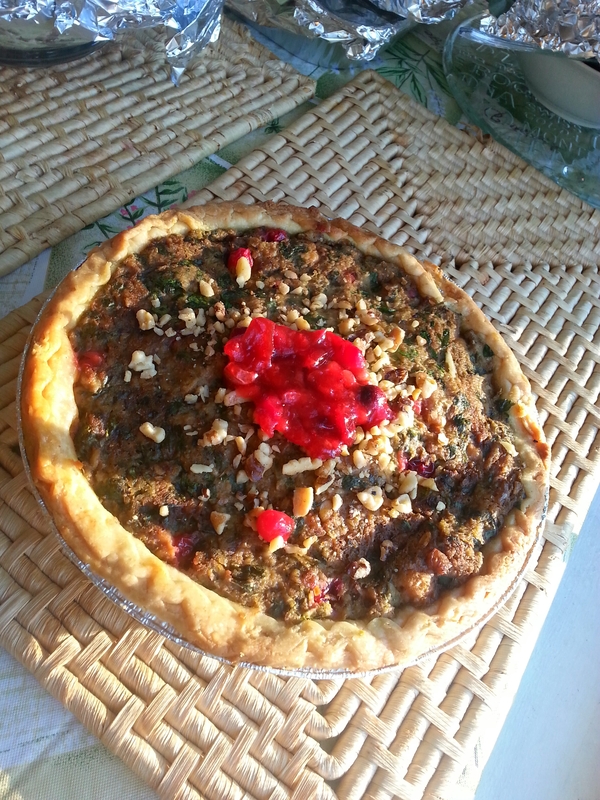 My family enjoyed this with the delicious homemade cranberry sauce I saved for the side. One tip: be sure to not over cook! The worst thing is having a dry tart…you don’t want that.